On Friday, March 28, 5 p.m. Truckee’s Drunken Monkey will celebrate it’s fifth anniversary with a day of food and drink specials for everyone. Call ahead to reserve a table if you have a group of six or more, or just drop by. Drunken Monkey is located at The Rock in Truckee at 11253 Brockway Road, between Highway 267 and downtown Truckee. Open Tuesday through Sunday at 11:30 a.m., and Mondays at 5 p.m. For more info call Alicia Barr at 530-582-9755 or email alicia@drunkenmonkeysushi.com. North Tahoe Little League fields baseball teams from the West Shore to Incline Village, Nev. Consider becoming a business partner. Sponsor a team and/or display your company logo on a field banner. Home Run level sponsor ($450) has only your company name on uniforms, banner at chosen field, and team photo plaque. Triple level sponsor ($350) has shared company names on uniforms, banner at chosen field, and team photo plaque. Double level sponsor ($250) produces a large company logo banner displayed at the field if your choice. Single level sponsor ($150) displays your existing company logo banner at the field of your choice. In California contact Mark Sura, club-bigblue@hotmail.com, in Nevada contact Robyn Hugar, robynhugar@cloud.com. Consider becoming an Earth Day supporter by making a tax-deductible donation at a designated sponsorship level. Tahoe Truckee Earth Day is also open to event sponsors funding certain aspects of the event i.e. film festival, artwork, etc. Contact Steve at SAddison@squawvnc.com. 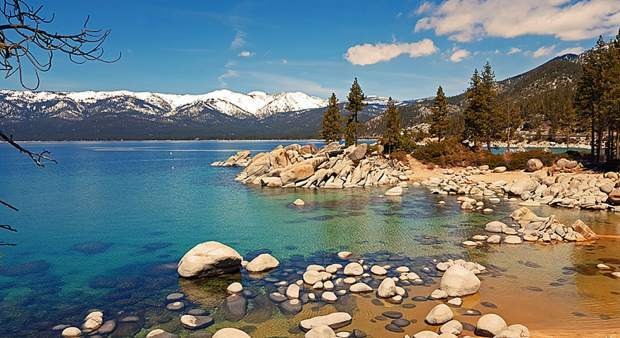 The Tahoe Truckee Earth Day Festival is a volunteer run, nonprofit event to recognize, celebrate and promote the region’s beauty. Drop by the Village at Squaw Valley on April 19, for fun, live music and entertainment, and to learn how to preserve and protect local and global natural resources. The Contractors Association of Truckee Tahoe (CATT) announced a Membership Orientation for prospective members, new members, and existing CATT members on Wednesday, April 2, 4 p.m. at the Hotel Truckee Tahoe, 11331 Brockway Road, Truckee. Light snacks will be served. The Membership Orientation is open to all building contractors, specialty contractors, suppliers, and design professionals who work in the Truckee Tahoe area. The Orientation is geared to individuals and companies who want to maximize promotional efforts while being kept up to date on local building codes, fees, remodel trends, and more. Current CATT members encouraged to attend. Meet CAT Board Members and Committee Chairs, and find out how the membership dollars are spent. Contact Kim Cross at 530-550-9999 or memberinfo@ca-tt.com. Visit CATT online at http://www.ca-tt.com. The solar energy workshop will be held Thursday, April 3, 6 p.m. at the Tahoe Donner Club House with Mark Dickson, a NABCEP certified PV solar designer and installer and Simple Power, a division of Kelly Brothers Painting, Inc. Topics to be covered will include what PV Solar is and how it works in simple terms; if PV Solar is the right solution for you; steps to take in your home or business to increase efficiency before installing a system; and current tax incentives and rebates available to residents and business owners who install PV Solar systems. For more information call 530-550-0806, visit http://www.Kellybrotherspainting.com or email info@Kellybrotherspainting.com. Nevada County Treasurer & Tax Collector Tina M. Vernon will set up office at the Truckee Sheriff Substation in District V Supervisor Anderson’s office at 10879 Donner Pass Road, Ste. A, to serve Eastern County residents during peak property tax season. This is the first time a seasonal office for the Treasurer & Tax Collector has been available on the Eastern side of the county. Second installments are due no later than April 10, 2014. The seasonal office will be located Vernon will be available April 7-9, 9 a.m.-4 p.m., and is encouraging residents pay property taxes, ask questions, or say “hello.” Payments can also be made by mail, postmarked by April 10, to P.O. Box 128, Nevada City, CA 95959-0128 or made in person at the Nevada County Tax Collector’s Office, 950 Maidu Ave. in Nevada City. The office also offers payment by credit card or by virtual check at http://www.mynevadacounty.com/nc/ttc. 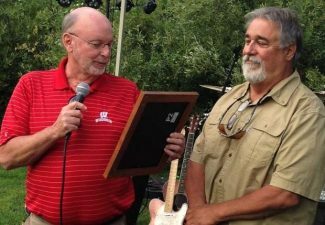 The North Lake Tahoe Resort Association announced $9,000 of grant funding available for special events taking place in the North Lake Tahoe region of Eastern Placer County. Most individual grants will fall within the $500 to $2,500 range. All grant money is slated for marketing and public relations efforts to promote regional events. Preference will be given to events which encourage overnight stays. All groups interested in receiving funds must fill out the special event grant application by April 16, 2014. After initial review, select applicants will be asked to give the Grant Funding Task Force a five-minute presentation on April 25, 2014. The presentation to the Board of Directors for approval will take place May 7, 2014 and funding notification to applicants will occur May 8, 2014. 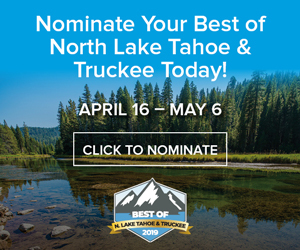 For a copy of the application and more information contact Judy Laverty, the special events program manager for the North Lake Tahoe Resort Association, at 530-581-8702 or at Judy@GoTahoeNorth.com.